There’s a lot of buzz right now around ad blocking. Depending on your perception, you might consider ad blocking a savior… or a growing problem. Both points of view are valid, to some degree. What appears to be a certainty, however, is that the use of ad blockers is expected to grow exponentially. Ad blocking, in technical terms, is the act of selectively downloading material when visiting a website or using an app, thus “blocking” the unwanted items from loading. Most often this refers to ads, but it can cover anything, like embedded media, social widgets or tracking beacons. This software also can run at other levels. For example, more sophisticated users can change settings on their operating system so that no ad networks are contacted, no matter which browser or application is used. Others install software on their entire network (on the Internet router for a house or business) so that it works for everyone in that location. 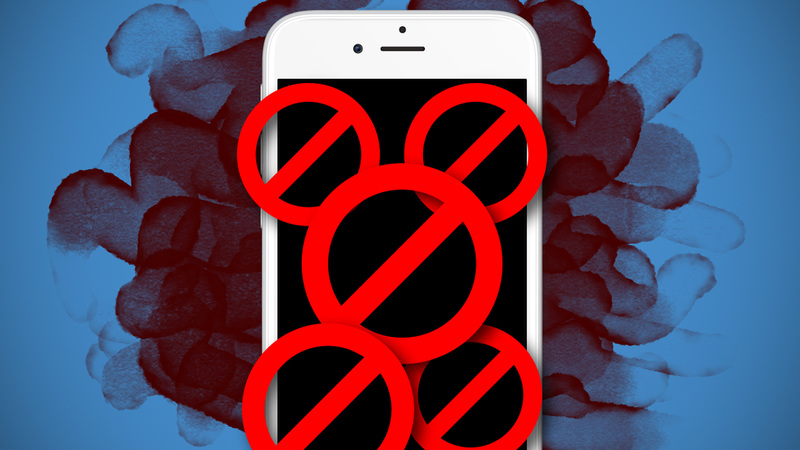 Some companies, like Shine, even create software to sell directly to mobile carriers to block ads. Carrier-level blocking actually breaks net neutrality in the U.S., so it’s unlikely to ever be ubiquitous. However, recently there has been a rise in the use of zero-rating — allowing some data to not count against a customer’s bill, e.g., Spotify streaming for T-Mobile — which could potentially be used to make advertisers pay for data and take away some of the bandwidth cost from users. This also has come under scrutiny as another potential violation of net neutrality. Why would someone use an ad blocker? There are four main reasons someone would use an ad blocker: performance, privacy, security and a better experience. Performance. The average page has dozens of ad tags, and ad providers are typically built with no regard to performance (loading hundreds of tags, images, megabytes of video, etc. ), so preventing all of this from loading drastically speeds up the website. Privacy. Most ad networks and tracking systems (like Google Analytics) collect information about user behavior and pages visited, which can lead to privacy issues. Ad blockers stop all of this and make it easy to browse privately. Better experience. Ad formats have evolved from simple banners to rich media, and are at the height of intrusiveness today with things like outstream video (video instantly appearing in between paragraphs of an article) and in-image banners (banner ads layered on top of other images). These ads are often annoying and disrupt the user from viewing the content that they’re actually trying to read in the first place. This only leads to negative effects and is arguably the biggest reason for using ad blockers. Because ad blocking is mostly accomplished through browser plug-ins, it makes sense that it only works against ads on websites. Apple’s iOS has recently allowed for content blocking extensions in its Safari browser, so now it’s possible to block ads on mobile websites, as well. Both iOS and Android also allow for third-party browsers that can come with ad-blocking abilities built in. Ads in native mobile and desktop apps are mostly immune as they have no extensions (and can’t be affected by browser plug-ins). Sponsored content that’s embedded directly by the publisher is also unaffected (like messages written naturally within an article or read aloud in a podcast). Some boutique custom pieces like the Netflix-sponsored articles on WSJ.com can be blocked, but are usually left alone because they are good-quality content. First-party ad serving is a gray area and basically refers to the website publisher serving ads from their own domain (the way ads on Facebook’s website load from facebook.com). This usually implies that these ads are sourced directly and can get around ad blocking because blocking the domain would block the entire site. Advertisers won’t really be affected much. They still have a massive amount of website traffic available, along with lots of other channels, like social and mobile, to which to shift their spend. As more content is heading toward closed platforms and apps, advertising will only become more integrated and harder to remove. Publishers are the most affected because they lose out on ad revenue when visitors block ads. There are ways around this, such as using first-party ads and producing sponsored content, but that requires a lot of time and effort and only works for top publishers with the reputation and large audience in which advertisers are interested. Mid-size and long-tail publishers can’t do this effectively — they lack the scale and infrastructure to be viable. Some publishers have tried paywalls, but that comes with a steep decline in users willing to pay, and only works for very high-quality, exclusive or niche content. Publishers that tried using messages to ask ad blocking users to whitelist their sites have seen almost no effect — and actually saw an increase in the ad-blocking rate by alerting users who weren’t using it. There are efforts to improve the experience, like Blendle for micropayments and Facebook Instant Articles, but the revenue situation is far from concrete. Nobody knows if it will actually work and be sustainable, but the future is probably a combination of distributed access through closed platforms, different technologies employed by websites and more sponsored content. This would be a big change, and likely would need a standardized API in order for publishing systems to work with ad networks to seamlessly render content and ads in a single pass. Content-delivery networks can also potentially do this by automatically rewriting the page to include ads with the content as it’s loaded. Analytics are also something not mentioned much, but are just as affected. Services like Google Analytics, Chartbeat, MixPanel and dozens of other companies that don’t serve ads but help site owners analyze what their audiences are doing are starting to see their stats become useless as a large and important part of the audience is now invisible. They will likely have to move to server-side first-party tracking, as well. Advertising won’t be going away anytime soon. Ads are a fundamental part of the web ecosystem and have allowed for the massive growth in content and destinations. They are the reason Google, Facebook, Twitter, YouTube and countless other services exist. There are only two methods to compensate content producers: pay directly or get free content in exchange for ads. While there is constant innovation in micropayments and subscriptions, the truth is that many people, in countless surveys, have shown they just aren’t willing to pay for the typical content that’s delivered on the web. Articles are worth fractional cents, and there is too much friction with micropayments, especially for content that’s consumed only once. Given all of this, online advertising still remains the fastest, most passive, most anonymous (compared to direct payment methods) and most universally accessible way to subsidize and view content. Publishers that chase short-term revenue while lowering content quality and output. Advertisers that constantly demand more attention and measure success through forced engagement. Ad networks (the primary culprit) with slow, heavy ads that disrupt the user experience while ignoring basic privacy and responsibility. But it’s not all doom and gloom; the best part is that this is a completely solvable problem. Advertising is a great model, but what is fundamentally wrong today is the implementation. It’s not advertising itself, but how it’s done that’s causing this current backlash. As the industry evolves, what we’ll likely see is fewer ads (which increases scarcity and actually raises prices and revenue) with more streamlined and non-intrusive units that are focused on content rather than obtrusive in-your-face messages. There will be more focus on privacy and ensuring users feel comfortable with how their data is used. Advertisers will craft more creative pieces that actually entertain and inspire. Banners will still be around, but in-image, rich media and outstream video will need to go. Instinctive is one of the companies ahead of the curve today with seamlessly delivered native units showcasing quality branded content. Not only does it mean a better user experience, but it also delivers better performance, more engagement and stronger brand awareness for advertisers. Advertising is definitely in a rough spot today. Ad blocking is both good and bad for the industry, but one thing is for sure — it’s a change that has been desperately needed and just might result in a better future for the entire web.